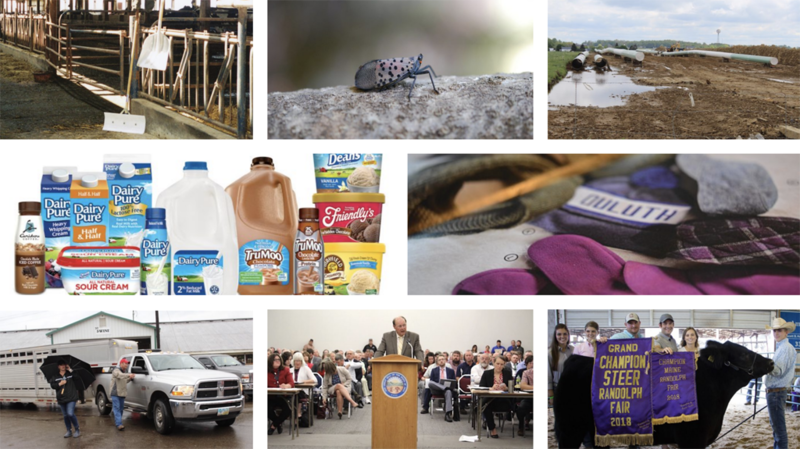 The Farm and Dairy staff selected the 10 stories that impacted its readership most this year in Farm and Dairy’s top 10 stories of 2018. Readers picked the stories that interested them the most in Farm and Dairy’s top web stories in 2018. 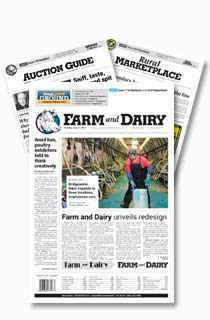 These 10 stories generated over 84,000 views, accounting for 18.6 percent of the web traffic from new content on FarmandDairy.com this year. The top four all eclipsed 10,000 views and the top seven surpassed 5,000 views. From January to December, we delivered content that kept readers coming back by the thousands. This year readers spoke out against large corporations, came together in the face of an uncertain future in the dairy industry, educated themselves to stop the spread of the spotted lanternfly, kept tabs on the still-strong oil and gas industry in Ohio and Pennsylvania, pulled their resources to make it through adverse weather throughout the year and stayed current with the biggest headlines in agriculture news. They picked the articles that influenced them most in 2018, skyrocketing page views on all their favorites. If you weren’t one of them, make sure you didn’t miss anything, and let us know which stories impacted you. Duluth Trading Co. ignited a social media firestorm when it promoted its synthetic fleece with the words “no smelly animal fur here.” Sheep producers were not amused. Duluth Trading Co. ignited a social media firestorm when it promoted its synthetic fleece with the words “no smelly animal fur here.” Sheep producers were not amused and neither was Farm and Dairy reporter Rebecca Miller. In her column, Miller weighs in on the campaign from a producer’s standpoint. 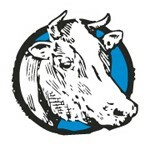 Read the full article here: Fleeced: A social media post about Duluth Trading goes viral. 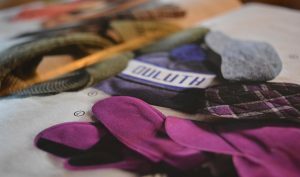 Dear @duluthtradingcompany I beg of you, please stop throwing wool under the bus in your marketing materials. At a minimum, please speak of wool accurately. You advertise it as “smelly animal fur” when you know as well as I do that commercial wool has no scent at all, and that it comes from a living animal who goes on living a very good life for years after being shorn. I get that you want people to buy this coat that you’ve chosen to insulate with polyester. It’s a business decision. I’m sure the profit margin is good. But please also know that the American wool market has been decimated by synthetics. 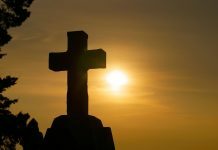 It is at a 70-year low. But it is holding steady there, and it deserves our support. As more consumers become aware of just how devastating microfiber pollution is to our oceans, they’re going to look to you for alternatives. You might even turn back to wool, which just happens to be wonderfully biodegradable, annually renewable, flame-extinguishing, stretchy, a great insulator, and it even filters air pollution. If only you hadn’t spent the last decade telling your customers just how terrible wool is, why they desperately need to buy anything but it. Woopsie. Your pivot will be twice as hard. So I urge you, start now. Speak of wool honestly and positively in your materials. Cultivate tomorrow’s customers now. It’s possible, it’s the right thing to do, and I will be happy to help you in any way I can. Spotted lanternflies are a relatively new, but incredibly invasive pest. Since being discovered in 2014, the spotted lanternfly has spread to 13 counties in southeastern Pennsylvania, three counties in adjacent New Jersey and one county in Virginia. The spotted lanternfly poses a threat to crops, timber and ornamental plants. The plant species counted as hosts include grapes, peaches, apples, dogwood, maples, walnut, oak, hops, ornamental trees, pines, vines and its favorite host, the Tree of Heaven or ailanthus. 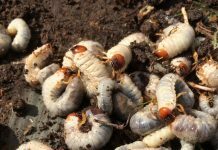 In addition, it was also observed feeding on soybean and corn crops in Pennsylvania last year. The spotted lanternfly is a highly destructive pest. 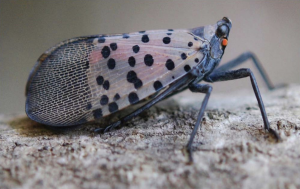 Learn how to identify it and implement management strategies to stop the spread of the spotted lanternfly before it impacts agricultural industries in a bigger way: How to stop the spread of the spotted lanternfly. 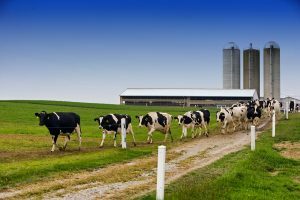 5How much longer can dairy farmers survive? 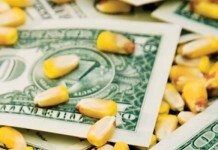 It’s no secret that dairy producers have been struggling. In the past decade, milk prices have swung from lows of $10 per hundred pounds, to record highs above $20. The problem is when prices stay low, year after year, as they’re doing right now. 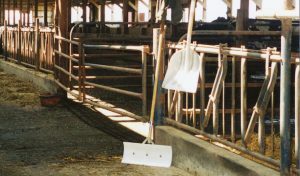 So the question remains: How much longer can dairy farmers survive? Dave Daniels, testifying in support of Ohio Gov. Kasich’s executive order during a recent meeting at ODA. Oil and gas interstate pipeline construction is helping move the state’s growing production. 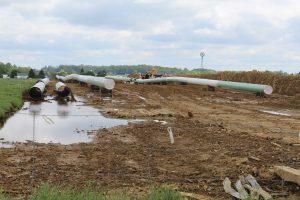 7Oil and gas drilling permits remain strong in Ohio, Pa.
Farm and Dairy editor Susan Crowell compiled an oil and gas update for the region at the beginning of the year, concluding oil and gas drilling in the Marcellus and Utica shale plays of western Pennsylvania and southeastern Ohio is coming back to life as more infrastructure goes on line. That trend continued throughout 2018. Read more about the activity and expectations at the beginning of the year: Oil and gas drilling permits remain strong in Ohio, Pa. The intended site for the Wiles Lagoon, north of Wooster. 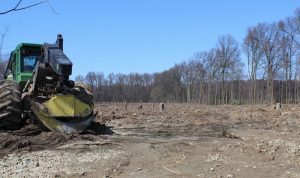 Trees have been cleared in anticipation of the project. 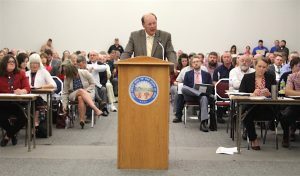 In a rural community in north central Ohio, emotions have run high ever since a 10-million-gallon waste lagoon was proposed by Quasar Energy back in March. 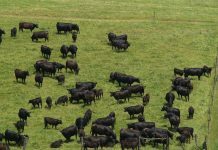 The company unveiled plans for an earthen-lined storage pond intended to hold both anaerobically digested biosolids and up to 300,000 gallons of hog manure annually from the landowner’s hog farm. Farm and Dairy reporter Chris Kick got all the details on the project. You can find them here: Wiles lagoon stirs debate in Wayne County. Livestock being evacuated from the Wayne County Fair, in anticipation of flooding. Ohio had one of the wettest years on record, so it’s no surprise some quick thinking and shuffling was required during fair season. 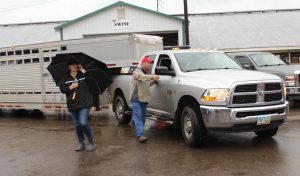 By the end of the first day of the Wayne County Fair, several hundred head of livestock were sent home for fear of flooding, and the outdoor entertainment was cancelled. Fortunately, alternate plans were made as needed and volunteers stepped in to make sure the livestock shows were still able to be held. Read more here: Wayne County Fair makes changes amid heavy rains. 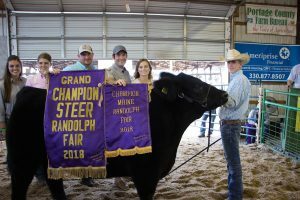 The Portage County Fair grand champion market steer, weighing 1,375 pounds, was shown by Harrison Blay and purchased by Sarchione Chevrolet, represented by Jeff Sarchione, Molly Horning and Dane Wise, for $8.50 a pound. Fair coverage always garners a lot of attention. This year the junior fair auction at the Portage County Randolph Fair pulled the most pageviews, eclipsing 4,000. Find the full list of results here: Portage County Randolph Fair 4-H, FFA livestock sale tops $512,000.